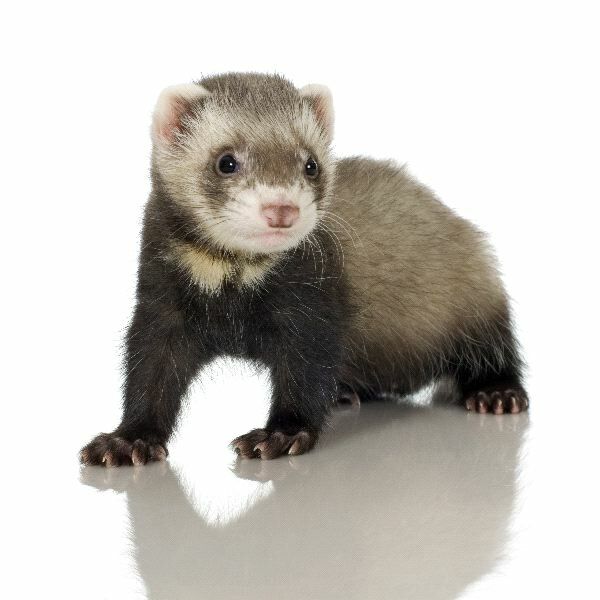 The Ferret is often kept as a pet due to their timid nature, ease to care for, and they have very silk coats. This a domesticated mammal that can range in colors including white, brown, and black. They often grow to a size of about 20 inches and their tail may be about 5 inches of that size. The don’t usually weigh more than 4 pounds. The Ferret is a meat eater and they will often feed on insects and small invertebrates. They spend their day sleeping for up to 18 hours and then the rest of it eating or grooming. They are social but they are also very territorial.